I love making use of pumpkins in recipes this time of the year. What better time of year than Fall and Halloween? 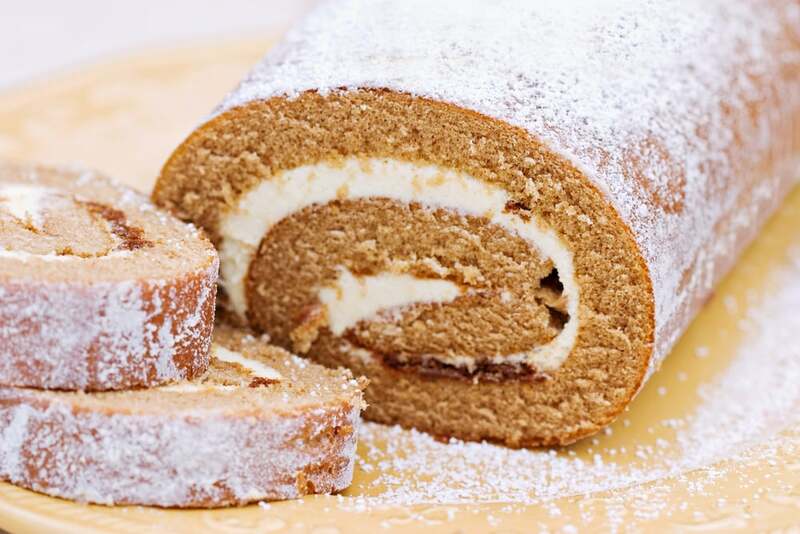 One of my favorite pumpkin recipes that I plan on making soon is a Pumpkin Roll. Since I’ve not made it yet this year, I don’t have a picture of this yummy pumpkin roll. Beat eggs on high speed of mixer for 5 minutes. Stir in pumpkin and lemon juice. In separate bowl, mix dry ingredients and add to pumpkin mixture. Spread onto greased, floured jelly-roll pan. Turn out onto towel. Sprinkle with powdered sugar. Starting at narrow end, roll towel and cake together. Mix powdered sugar, cream cheese, butter and vanilla until smooth. Spread on cake. Roll again. Chill. I hope you enjoy this family recipe. I made a few changes to make it healthier, and you can make it even healthier, by substituting egg whites, and wheat flour, for example. Or, don’t worry about it, and make it the way you want. Besides, how often do you make pumpkin rolls? So enjoy! That’s quite a bit different from my recipe, but I think I’d like to try it, except for the nuts. I leave those out of all of my baked goods. YUM! I have been all about pumpkin recipes and smells lately, darn Scentsy coming out with Pumpkin Marshmallow. I love pumpkin rolls but I have never tried to make them myself before! Thanks for the recipe because I will be trying these soon!